The policy-making arena may not the traditional environment for fisheries scientists, but reconsider its role (image credit: Beth Beard). While there are many “ingredients” in the “sausage making” that we call policy making, science can play an important role in informing those processes (note here that I am focusing on how science can inform policy – not advocate for it – there is a bright line between those two concepts and that is a topic for a whole different post!). Ever since I was a Knauss Seagrant Fellow many moons ago, the “science-policy interface” is a term frequently in my vernacular (for more justification for the value of this important intersect, see van den Hove 2007). I decided on the “science” side of this boundary and have built a career conducting research aimed at management relevance and answering science questions that inform policy. Initially, I was quite naïve on how scientific information was incorporated into policy. I thought if a research study made a certain discovery, say, on the population structure of an important commercially fished species, the baton would be automatically taken up by policy-makers and utilized. Science-informed decision-making, right? Turns out, I was missing a few key steps in informing and being informed. First of all, as much as scientists like to think that their peer-reviewed publications are scintillating reads, very few people are likely to just pick up and read a scientific journal article; least, perhaps, of all, a busy bureaucrat. To get research across the big science – policy divide, scientists need to be good communicators; sharing their research, why it is important, and how it is relevant to policy-makers. Secondly, if science is to contribute to informing policy-level discussions, it must be crafted with decision-points in mind. To do this, researchers must be informed of when, where, and how upcoming decisions are to be made. And, lastly, researchers wanting to work at this science-policy interface must pro-actively seek out ways to insert themselves into these relevant policy processes. The InFish Network at a 2018 Capitol Hill briefing on extreme events and inland fish, organized by the American Fisheries Society and USGS. On the two latter points, I am only recently starting to scratch the surface of how to tackle these. I am starting to frame my research portfolio around keeping a close eye on important upcoming decisions and processes where my work can serve to inform gaps in the current planning processes. It’s critical to keep a long-term horizon in mind. Often, these events are years out, but the science must be done now to contribute. If science is to inform these processes, the onus is on researchers to take the initiative to ask the right questions, provide information that is useful in decision making via peer-reviewed publications and other science communication products. Lastly, (and I’m just learning how to do this myself) scientists can physically be at the table. I have been privileged to be a part of a few recent workshops, sessions, working group meetings, and conferences which have highlighted the value of this new role for me. Working in the realm of inland fish and fisheries, many of the most important drivers and influences on these important resources are beyond the fisheries sector. Namely, they are not factors that can be controlled by fisheries management. Inland fish face competing uses for freshwater: agriculture, municipal water use, hydropower, transportation, recreation, aquaculture, and other important human needs. Decisions are often made regarding these other water sectors without regard to inland fish or fisheries. Stockholm World Water Week 2018: where the inland fisheries sector and the water sector met. I am coming to recognize that this disregard is, more often than not, not out of malice or malintent to inland fish, but rather due to sheer ignorance on the part of the decision makers. I mean no disrespect to these folks for not knowing that inland capture fisheries and aquaculture contribute over 40% to the world’s reported finfish production from less than 0.01% of the total volume of water on earth (Lynch et al. 2016) or that they provide food for billions and livelihoods for millions worldwide (FAO 2018). We, the inland fisheries scientists, haven’t done a great job of informing them of the current status and value of these important resources. A cross-sectoral group at the 2018 Fish Passage Conference that is trying to tackle integrating inland fish into irrigation decisions using the UN Sustainable Development Goals. But, slowly, we are learning how to better engage in these water policy discussions. I am starting to recognize a number of familiar faces from other sectors at these transdisciplinary meetings and we are building a “coalition of the willing” across the water sectors. And, I think we are better poised now, than ever before, to contribute to the next round of global policy discussions and integrate inland fish and fisheries into these processes because of it. As Sheryl Sandberg asks women to Lean In and participate in workplace discussions and lead decisions, scientists also need to take a seat at the big table in these policy arenas if they want their science to inform these processes. This is not a small ask, surely, as participation here does not often align with traditional academic incentives. However, I ask if the personal goals of your scientific career are to make a difference in the world, isn’t actually joining the discussion where decisions are made a way to do it? The time is now for fisheries scientists to “lean in” to the policy-making table! 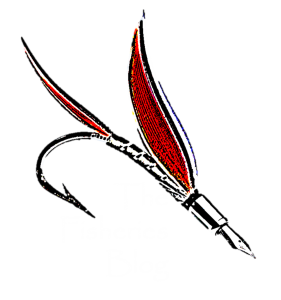 Next Post Starless Seas – Where have all the stars gone?